All of our Business Top-up students have the opportunity to volunteer as part of their course. Yiting Hu, Business Top-Up BSc(Hons) student, volunteered to help the Chinese Educational Development Project in Brighton. Yiting tells us about her experiences volunteering. 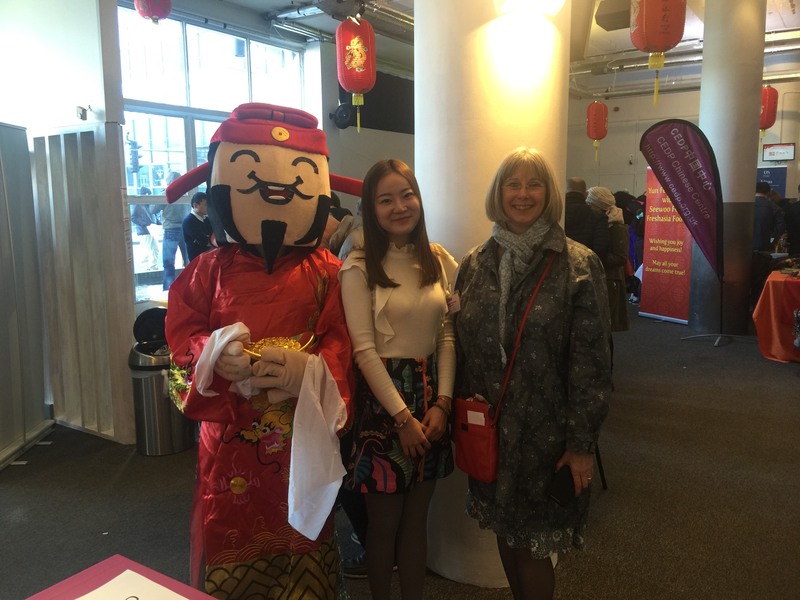 The Chinese Educational Development Project- CEDP was established in 2000, which is aim to support Chinese community of Brighton & Hove and promote Chinese traditional culture in Brighton. As a main Chinese culture centre in Brighton, it also offer Chinese language classes and welcome people to do volunteering work. CEDP Chinese Centre has worked closely with Brighton and Hove Black and Minority Ethnic Partnership, Brighton and Hove Citizen Advice Bureau, Brighton & Hove Chinese Society, Immigration Legal Services and other service organisations in the South East of England. All events they hold are about Chinese traditional festival including Chinese Mid-Autumn Festival, Dragon Boat Festival and Chinese New Year Festival in Brighton & Hove. My tutor Clare helped me to find this unique volunteering opportunity in their web site (http://www.cedp.org.uk/). After several discussions with the leader of this organisation called Hong Lu, she offered me a volunteering work as the project assistant in the Chinese New Year Event on the 21st Jan in 2017. The Chinese New Year Event, which is an annual event of this organisation, attracts many people come including the mayor of Brighton and Hove, MPs and Lords from UK government, local councillors and other voluntary organisations. It also supported by Government in Brighton & Hove, University of Brighton, University of Sussex and many Chinese enterprises in Brighton. The state performances include Lion Dance, Chinese Traditional Instruments show and Taichi etc. They donate all income from selling performance tickets to the disabled school in Brighton. There are more than 600 volunteers working together and most of them come from the University of Brighton and the University of Sussex. We worked together on event day. Do marketing promotion in social media such as Web chat which is the most popular communication application in China, Facebook and their web site. Organise event data (VIP and sponsored list, event information) and send invitation letters to VIP and sponsored. Help them to organise this event on 21st Jan (design stage and organise exhibitions of sponsored), hand out VIP tickets in the reception and take photos. Write a report of this event and upload it to their official web site. By volunteering in this organisation, my practical skills such as cooperation and communication were improved a lot. I also met many friends come from different regions and expanded my horizon. It is a special working experience for me to improve my personal skills and find my shortcomings. Tagged Business, Industry, volunteering. Bookmark the permalink.